We can run a much bigger platform on AWS at the same cost as before, plus it's easier to take on new business. In 2005, Erik Fjellborg was working part-time at McDonald’s. He noticed that his manager frequently struggled to manage employees’ schedules over the phone. As a result, Erik decided to build a system to solve the problem, and McDonald’s soon became the first customer of Erik’s new company—Quinyx. Today, it’s one of the leading software-as-a-service (SaaS) workforce management tools for enterprise organizations and is growing by about 50 percent year over year. It helps large enterprises around the world coordinate around 2 million employees, handling 200,000 concurrent users. Provide a reliable, high-quality service for customers as business expands across the globe. Ensure robust security for employees’ sensitive personal and financial information. Make it easy for developers to deliver an excellent product. 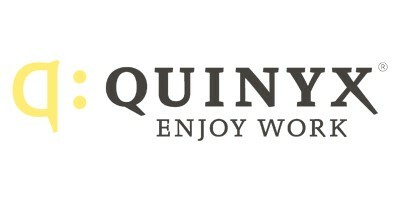 Quinyx moved its test, development, and production environments from its collocation provider to Amazon Web Services (AWS) and is now all in on the AWS cloud. The firm uses Amazon Elastic Compute Cloud (Amazon EC2) with Amazon Elastic Block Store (Amazon EBS), Elastic Load Balancing, and Amazon Simple Storage Service (Amazon S3). The DevOps team at Quinyx is also experimenting with AWS technologies such as Amazon CloudFront and the Amazon EC2 Container Service (Amazon ECS). Backed by a trusted brand: Quinyx handles sensitive data for businesses across Europe, and prospective customers like the fact that it sits on a secure and scalable environment that meets their compliance and performance needs. Platform for global expansion: International growth is now simple, cost-effective, and reliable. DevOps engineers estimate that a deployment for a new customer takes around a day, whereas before it could take up to a month. More efficient DevOps: By running the infrastructure as code, the two engineers who maintain the environment now spend 20 percent less time on routine management tasks, repurposing the saved time to making a better product through rapid, low-cost testing. To learn more about how AWS can help you host your application in the cloud, visit our application hosting details page.